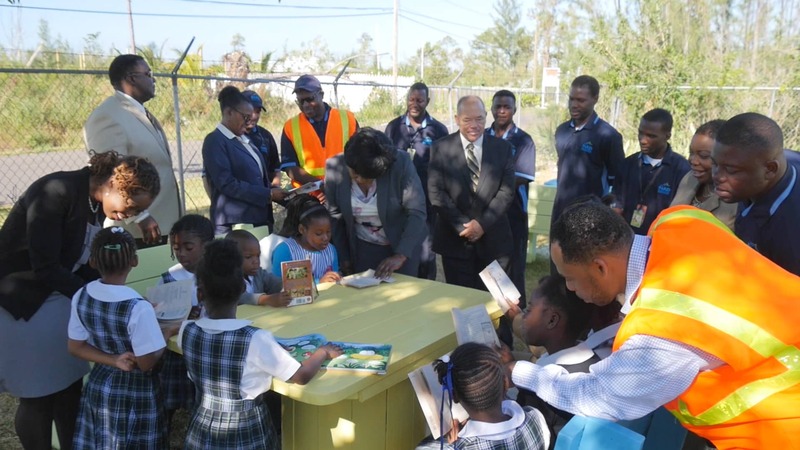 As a proud member of the local community, Nassau Airport Development employees collaborated on a unique recycling project in support of local schools, as part of its 10th anniversary activities. Born of the imagination of the maintenance, landscaping and airfield maintenance teams, wooden pallets and large cable spools were recycled into two sets of outdoor benches and tables for outdoor reading and relaxation spaces at Adelaide Primary School and Gambier Pre-School. More than 20 employees lent their creative recycling efforts to the project. NAD CEO Vernice Walkine joined these talented employees to officially present the furniture, along with hundreds of new children’s books, to the schools on March 22. Please enjoy the video capturing this special event.